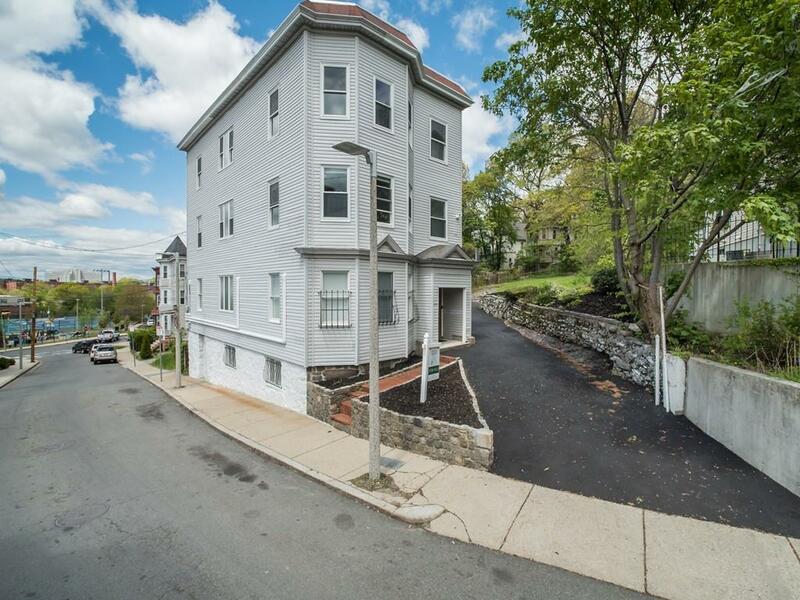 Luxury and convenience in historic Fort Hill. This 2bed/2bath condo with off-street parking, within walking distance to the T (Orange line, Jackson Stop) is a rare find. This 3-unit condominium building sits on a large 9, 800 SF lot, and is perfect for entertaining! The photos do not do it justice, you need to see this for yourself. This renovated condo has an updated kitchen, with SS appliances and quartz countertops, which opens up to a spacious living room complete with additional storage/coat closets. W&D are included in the laundry area just off the kitchen. The attention to finish has not been overlooked in this condo as it includes crown moulding, and colonial revival picture rail. The master bedroom offers an en-suite bath, complete with a full size tub shower with tile surrounds and a recessed shower shelf. Both bedrooms have brand new ceiling fans.